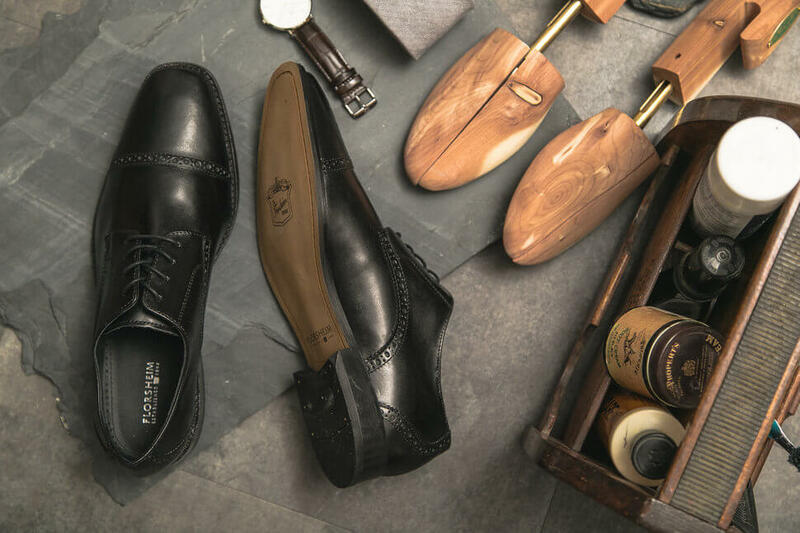 A good shoe polish, a soft brush and an old piece of cotton will make sure your leather shoes will sustain the daily influence of the city dust or even rain. 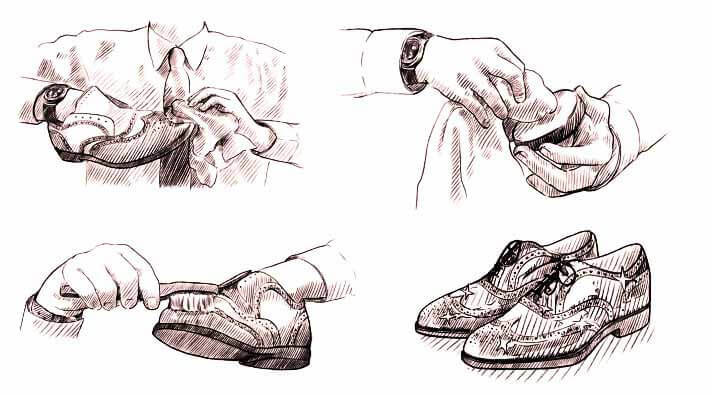 Although it is recommended not to expose leather shoes to rain, with the right care the leather will be sealed and protected. Also ask for special treatment sprays, if available. 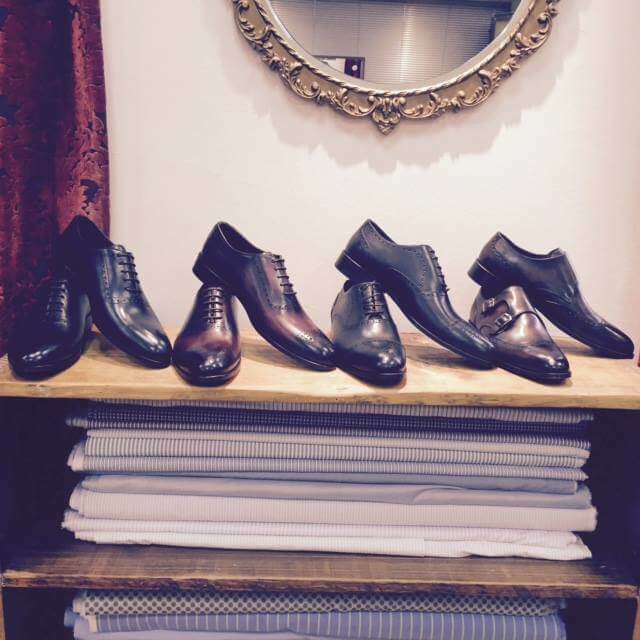 As with every other piece of your wardrobe: Let the shoes rest after they have been worn. The best way of doing so is to use a wooden shoe stretcher. The wood absorbs the moisture, while the rest of the shoe is put back into shape, at least for a day or two. This prevents the shoe from creasing, which, in turn, extends the lifeline of your shoe significantly.